The House Judiciary Committee voted23-13 on Thursday in favor of authorizing a subpoena of the acting Attorney General, Matt Whitaker. Whitaker was already expected to submit voluntarily to questioning by the committee Friday. The House Judiciary Committee opted to approve the subpoena because Whitaker may choose to decline answering some questions about the independence of the Justice Department and special counsel Robert Mueller. Authorizing the subpoena means there is potential for sparks to fly at the hearing, which is tentatively planed for Friday. If the Democrats have the ability to force the acting Attorney General to answer questions, it may signal that new stages of the investigations into Trump et al, under the auspices of the Democrats, are underway. 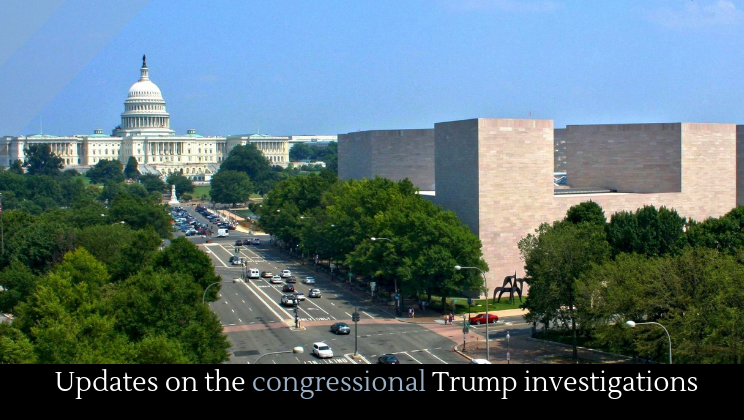 The move sets up the potential for a high-stakes showdown at Friday’s (potential) hearing and perhaps the first major confrontation in the new era of Democratic oversight of the Trump administration. But later that day it turned out that Matt Whitaker may not appear in front of the committee after all. It appears the threat of a subpoena, which would force him to answer questions he did not wish to answer, scared him off. That, of course, begs the question, of what Whitaker has to hide. Ostensibly, he is rejecting what he sees as an overreach of the committee––as well as the political partisanship influencing the investigation into Trump. After the committee agreed not to subpoena him, Whitaker agreed to testify. Investigations into Trump are indeed expanding in scope and increasing in intensity. A joint congressional inquiry has demanded that Wayne LaPierre, executive vice president of the National Rifle Association, hand over any documents showing whether the organization made any “illegal, excessive, and unreported in-kind donations” to the Trump campaign and other Republican campaigns. “The evidence shows the NRA is moving money through a complex web of shell organizations to avoid campaign finance rules and boost candidates willing to carry their water,” Senator Sheldon Whitehouse (Democrat––Rhode Island) told The Trace in an interview, “And if the NRA can weave such a web, so can Vladimir Putin and others trying to undermine our democracy. We need the truth about this scheme or else special interests like the gun lobby or foreign interests like Russia can flaunt the law and erode the integrity of our elections.” In the past, The Trace NRA’s shadyhas documented several instances of the , and potentially illegal, dealings on behalf of the GOP. Trump isn’t the only one panicking. Republicans are terrified that the Democrats will force Trump to release his tax returns. As the Mueller’s probe continues, former investigators from the Watergate scandal are speaking out. Lowell Weicker recently argued that the Mueller probe must be made public.